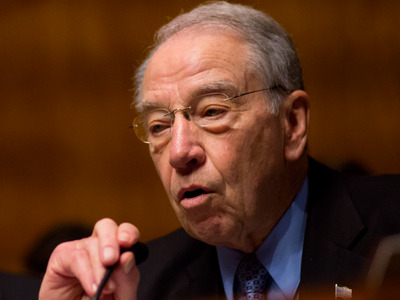 Senate Judiciary Committee chairman Chuck Grassley released a declassified version of a January letter in which he and committee member Lindsey Graham referred Trump-Russia dossier author Christopher Steele to the Department of Justice for criminal charges. The letter appears to undercut two key assertions made in a bombshell memo released by the House Intelligence Committee last week, which purports to show the DOJ and FBI abusing their surveillance authority to monitor a former Trump campaign adviser. Former intelligence officials and legal experts also said the letter seems like a political stunt meant to discredit Steele, rather than the information contained in the dossier. The Senate Judiciary Committee entered the heated memo wars on Capitol Hill Tuesday night, when committee chairman Chuck Grassley released a declassified version of a criminal referral he and fellow committee member Sen. Lindsey Graham sent to the Department of Justice (DOJ) in early January. In the letter to Deputy Attorney General Rod Rosenstein and FBI Director Christopher Wray, Grassley and Graham asked the DOJ to investigate whether former British intelligence officer Christopher Steele made false statements to the FBI “about the distribution of claims” in a dossier he compiled alleging collusion between the Trump campaign and Russia. The declassified version of the letter was released following days of back-and-forth between Democrats and Republicans over the explosive claims made in a separate memo released by the House Intelligence Committee last week. That memo, authored by the committee chairman Devin Nunes and his staff, purports to show surveillance abuses by the FBI and DOJ when they applied for a Foreign Intelligence Surveillance Act warrant in October 2016 to monitor Carter Page, a former adviser to President Donald Trump’s campaign. Page had left the campaign by the time the DOJ and FBI applied for the warrant. The FBI and DOJ did not inform the Foreign Intelligence Surveillance Court (FISC) that the dossier was politically motivated. The FBI used a September 2016 Yahoo News article to corroborate claims from the Steele dossier, even though Steele himself was the source of the article. While the Grassley-Graham letter confirms parts of the Nunes memo, it appears to undermine the aforementioned claims, both of which were key to Nunes’ conclusion that the FBI and DOJ acted improperly when they sought the Page warrant. The revelation confirms earlier reports and lawmakers’ statements which said the bureau did disclose the dossier’s political origins when applying for the warrant. But it did not specify that the document was financed by the Hillary Clinton campaign and the Democratic National Committee, a point that both memos highlighted. The Grassley-Graham letter also appears to contradict the Nunes memo’s claim that the FBI used investigative reporter Michael Isikoff’s Yahoo News article to corroborate Steele’s dossier when applying for the Page warrant. The Nunes memo referenced the article, published on September 23, 2016, which focused primarily on Page’s trip to Moscow in July 2016 and his contacts with Russian officials while there. “The article does not corroborate the Steele dossier because it is derived from information leaked by Steele himself to Yahoo News,” said the memo. But the Grassley-Graham letter indicates that the FBI did not, in fact, include the article in its application as a way to corroborate the Steele dossier’s findings. In other words, it appears the FBI told the FISC that Steele’s information had reached Yahoo News through a source other than Steele himself, and that the article was repeating findings that had come from the same original source. The statement therefore seems to indicate that the FBI did not believe the article was an independent corroboration of Steele’s intelligence. Former NSA general counsel Robert Deitz said Wednesday that the FISA application’s reference to the Yahoo News article was likely meant to demonstrate that by the time the Page warrant was being sought, the investigation’s existence had become public knowledge, thus raising the risk that subjects of scrutiny – like Page – could attempt to conceal or destroy relevant evidence. The FBI’s belief that Steele had not communicated with Yahoo News, however, turned out to be untrue. 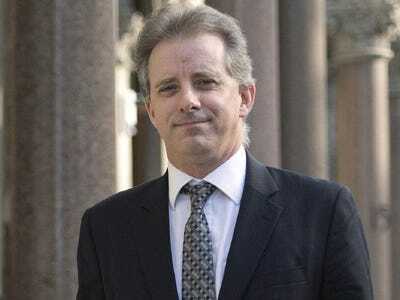 Steele confirmed, according to British court filings, that he met with reporters from Yahoo News, The Washington Post, The New York Times, and The New Yorker in September 2016 to discuss some of his findings. The bureau terminated its relationship with Steele after it learned he had spoken to members of the media in October 2016, according to the FBI’s FISA renewal application in January 2017 that was cited by the Grassley-Graham letter. The letter continues: “However, the FBI continued to cite to Mr. Steele’s past work as evidence of his reliability, and stated that ‘the incident that led to the FBI suspending its relationship with [Mr. Steele] occurred after [Mr. Steele] provided’ the FBI” with the dossier. But rather than prove Steele’s lack of credibility as a source, the FBI’s continued reliance on his dossier even after it cut Steele off was indicative of how seriously they took the information contained in the document, experts said. The Post reported on Tuesday, citing friends of Steele, that the former spy did not talk to the press for politically-motivated reasons, but to sound the alarm on what he had uncovered and the belief that the US intelligence community was not taking appropriate steps to address his findings. But legal experts threw cold water on that assertion, pointing out that there is no evidence that Steele lied about his media contacts while giving a formal interview to the FBI. “A referral that offered evidence of lying to Congress would be more likely to give the FBI something new and would be more likely to carry some weight,” William Yeomans, a former deputy assistant attorney general who spent 26 years at the Justice Department, told Business Insider in an earlier interview. “If they are giving the FBI information it already has that suggests Steele lied to the FBI, the referral has little import. The bottom line is that the referral only matters to the extent it gives the FBI relevant evidence or otherwise unknown and credible allegations,” he said.